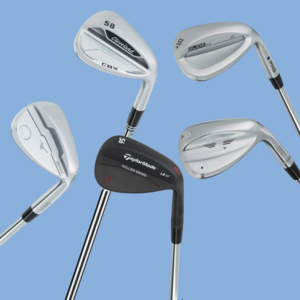 According to the most recent Golf Datatech survey of golfer attitudes, wedges have overtaken drivers as the one club more golfers say they are planning to buy within the coming year. But do they really know what they're buying? Time to rethink your thinking on the most vital clubs in your bag. This is not merely a commodity like a new set of windshield wipers. These are the most important clubs in your bag, and likely the least appreciated and the least studied. And they've only increased in importance as the rest of your bag is undergoing an institutional makeover. The traditional iron set is changing to as little as six or even five clubs, many of them stronger lofted than they've ever been before. That makes it all the more crucial what clubs fill in the gaps in the section of the bag that's most crucial to your scorecard. The wedges, whose lofts these days can sometimes cover a near-20-degree range from the mid-40s to the low 60s, should be the most precise clubs you carry. Fortunately, these days they may be the most precisely engineered clubs in the bag. Grooves, face designs, sole grinds are all routinely tailored to loft, all an effort to optimize spin for how those clubs are typically used. Increasingly, there are options to consider at every loft and those differences are engineered to detailed measurements, starting with groove edges that can be made closer to the limit than ever before and surface edge roughness patterns that are measured to the thousandth of an inch. How precise is that? About a third the width of a human hair. All that precision means you should pay a bit more attention to how you select these important soldiers in your war on par. So think carefully how the lower lofted wedges mesh with the short irons in your set. Then, study how different sole shapes might lead to better contact on short pitches and chips. One tip: You might find you want a wedge with less bounce for chip shots and one with more bounce for pitching and bunker shots. Be clear in your mind, though, whether all these options are important to you or whether a single sole design is a better system for consistent contact because solid contact yields better spin and better distance control. Those are the keys to turning every missed green into an up-and-down.